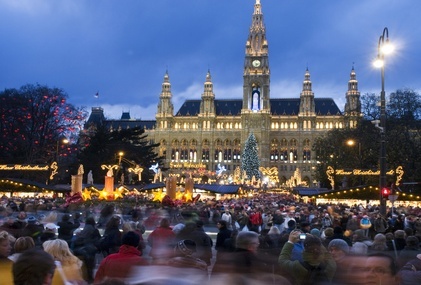 Christmas is fast approaching and Vienna is all set for this celebration. This is evident in the Vienna Christmas Market which takes place each year at the Rathausplatz Square. The Vienna Christmas Market is a genuine Viennese tradition which has been taking place for more than 700 years now. Visitors and local residents are free to stroll around the place. They can choose to just enjoy the sights and sounds at the area or see only what’s available at the stalls or they can buy whatever they like whether food, sweet treats or gift items. In terms of view, the Rathausplatz square is a beauty to behold. The trees are well lit with twinkling lights and the decorations create a festive atmosphere. The stalls, on the other hand, are made from wooden huts that make a cool place to sell different types of products. 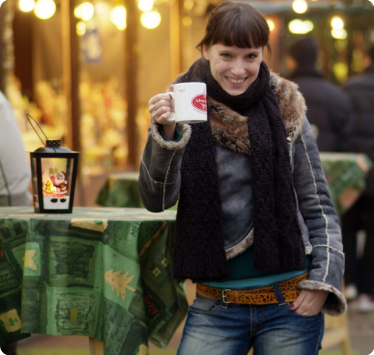 If you’re thinking of what to buy for your friends and loved ones, there are plenty to choose from at the Vienna Christmas Market. For those who wish to buy sweet treats, the glazed fruits and baked apples are great. For other gift ideas, you might want to get some wooden handicraft. Families with kids can also have a wonderful time at the Rathaus Park near the square. There, you will see giant candles that adorn the trees and you can let your children ride the miniature railway, the ponies and the traditional merry-go-round. If you love to hear Christmas tunes, head to the Festival Halls situated at the town hall for the free concerts. The advent choir holds several concerts there each year. Choirs from other countries also sing Christmas carols there particularly on the last three weekends of the advent season. Finally, you may want to let your kids join the workshops on gift making and cookie baking at the Volkshalle also at the town hall. These activities provide fun learning experiences for children.